You may not own a 4K ultra-high definition (UHD) TV yet, but the odds are you will, probably within the next five years. The video footage you’re shooting now in standard 1080p high definition won't look as creaky on those TVs as footage shot during the 1980s looks on your current TV — but it won't look crisp and modern. Several digital camera makers have added 4K video recording to their camcorders and interchangeable-lens digital cameras. Today, Panasonic unveiled the first fixed-lens camera with 4K video recording, the Lumix DMC-FZ300, available mid-October for $599.99. 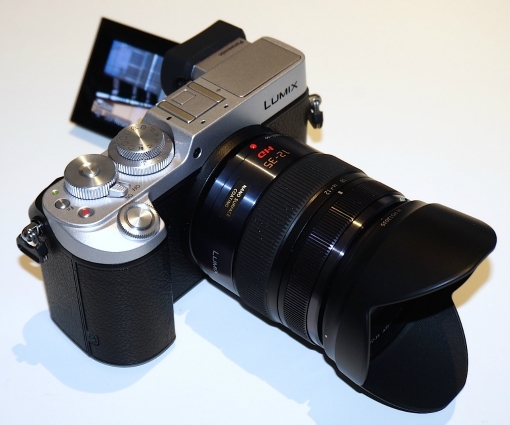 Panasonic also announced a new flagship mirrorless interchangeable-lens mode, the Lumix DMC-G8X, available in about a month at $1,999.99 for the body only. The 4K video capabilities in both cameras (up to 30 minutes of 3840 x 2160 resolution at 30p/60Hz or the more cinematic 24p), as in Panasonic’s previous mirrorless digital cameras, such as the recently launched DMC-G7, allows you to grab a frame of video and turn it into a crystal-clear still. No more choices about whether to shoot video or stills. In all these burst modes, you can grab and save stills in 3584 x 2684 (4:3), 3800 x 2534(3:2), 4000 x 2248 (16:9) and 2928 x 2928 (1:1) resolutions. Both new cameras include the new hybrid multi-axis optical image stabilization (OIS) for both still and video shooting. Standard OIS places stabilization in the lens to reduce picture blur caused by hand movement or camera vibration. The hybrid five-axis OIS in the FZ300 and the unique dual four-axis body/two-axis lens OIS, which employs a gyrosensor, an accelerometer and a dedicated microprocessor, isolates the imaging chip inside the camera body to help counteract hand-shake or vibration in stills. 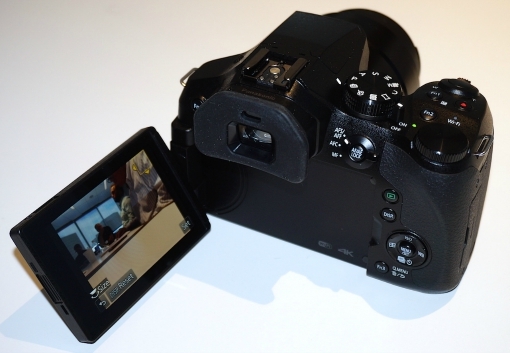 Both the FZ300 and the GX8 use five-axis OIS for video OIS. The FZ300 carries over the 12.1MP resolution and the f2.8 25-600mm 25x optical lens of its predecessor, the DMC-FZ200, which Panasonic says makes it possible to clearly capture moving subjects at a high shutter speed, even at a great distance. While the FZ300's 25x zoom capability pales in comparison to the whopping 83x zoom in the identically priced f.28 16 MP Nikon Coolpix P900 and the 50x-plus zooms found in a number of higher resolution/less expensive ultra or super zoom models from Canon, Sony and Fuji, none of these others record 4K video. Whether 4K is more important to you than really long zooming is a purely personal decision. While both old and new FZ models use the same lens, the FZ300 introduces several improvements: a bigger.7x magnification, 1,440k-dot OLED live view finder; a faster autofocus (.09 seconds vs. .14 seconds); 240 fps slow motion (compared to the FZ200's 120fps); a denser 1,040k-dot 3-inch free-angle, swivel-touch LCD; and newly added dust- and splash-proofing. Finally, in addition to Wi-Fi, the FZ300 now includes QR Code connection to give you remote control via the iOS version of the Panasonic Image App. Most of these are unmatched by any other super zoom camera. 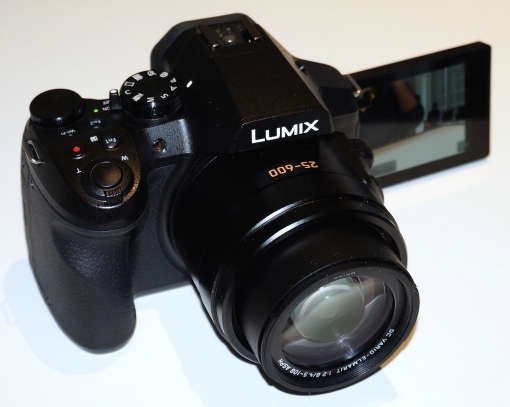 Panasonic's new GX8 is the company's successor to the GX7, which also captured 4K footage with 4K still grabs. The GX8 also boasts a 20.3MP sensor versus the G7's 16MP resolution and adds dust and splash resistance, a tiltable OLED in place of a fixed LCD optical live viewfinder and a free-angle, 3-inch viewscreen instead of one that is merely tiltable one, made with nearly glare-proof OLED instead of the usual LCD. The GX8 doubles the top shutter speed from 1-1/8,000 to 1-1/16,000, improves the auto-focus speed from .11 seconds to .07 seconds, offers 8 fps and 6 fps burst modes with auto-focus rather than the 5 fps and 4.3 fps in the G7, doubles the ISO sensitivity from 12800 to 25600 and adds starlight autofocus for shooting the night sky. For some reason, Panasonic switched from a universally compatible 3.5mm microphone jack to a 2.5mm connector for Panasonic's own microphones. It kept the 3.5mm jack on the FZ300. Like its predecessor, the GX8 includes both Wi-Fi and NFC, which enables remote control from the Android version of Panasonic's Image App. The GX8 also adds QR Code connectivity for iOS app control. The G8X's magnesium alloy framed body weighs only 360 grams compared to the GX7's heftier 435 grams. It will be available in black or black and silver.